Known for consistent quality and branching. When you sell a finished plant, we know it's your reputation on the line. That's why we raise all of our liners to get you off to the best possible start. 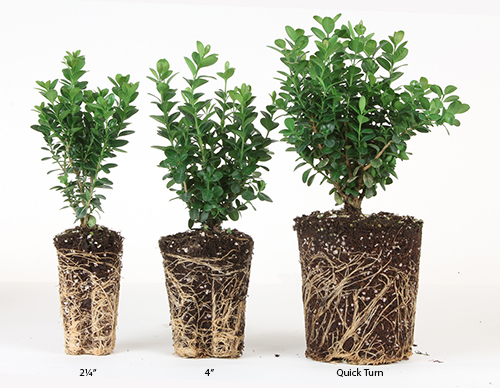 Our liners are trimmed multiple times to ensure abundant low branching that lets you produce a dense, appealing shrub. All are fully rooted into our custom blended, custom mixed soilless media. Our potted liners let you pot up your order on your own time, as your schedule and workflow allow. Choose from three sizes: 2 1/4", 4", and Quick Turn liners.